Eppendorf Centrifuge 5804/5804 R with its renowned quality and reliability offers you the most cost efficient solution for your medium throughput applications–now and in the future. It allows for molecular applications in tubes up to 250 mL and offers additional swing-bucket and fixed-angle rotors as well as deepwell plate capacity for increased versatility. 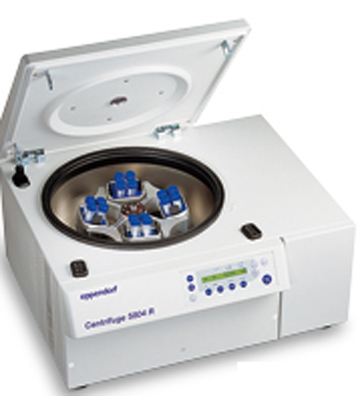 Thank you for your interest in the Eppendorf 5804R *NEW* Benchtop Refrigerated Centrifuge (ID #: 19133). To speak with a representative, please fill out the contact form below or call us directly.